Apple is known for producing the newest and most innovative technology of our time. From iPhones to iPads and MacBooks, Apple has provided us with ways to communicate, express our ideas, and indulge in entertainment. 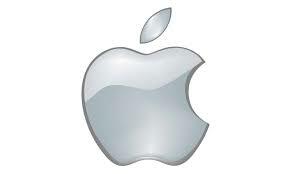 Now, Apple has widened its horizons and is venturing into new concepts. Apple News Plus is a feature that Apple will establish in the near future. This facet will include various magazines that people can read online. Subscribers, who pay a monthly fee of $9.99, will have access to over 300 magazines. They will also have access to news partners such as The Wall Street Journal and the Los Angeles Times. Another aspect Apple will set out to release is Apple Card. People will be able to buy normal, everyday items with their iPhone. Apple is advertising it as a card that will support lower interest rates. It is built on the same basis of Apple Pay that has already been implemented into iPhones today. Additionally, for any gamers out there, Apple is creating an Apple Arcade. This will be a gaming service that has up to 100 of the latest games for users to play. Each game will have its own storyline and design. Many were underwhelmed by this March event update. Some of the backlash regarded the minor details given to the audience. Apple is usually one to display an elaborate presentation. However, this time was not the case. Not much information was given on any of the four concepts I talked about in the paragraphs above during the presentation. No mention of price or when the services will be released–just a simple “coming in the fall” was given. Personally, I think Apple can pull this off. If people will pay $1,000 for an iPhone, people will have no problem paying for another streaming service or credit card.